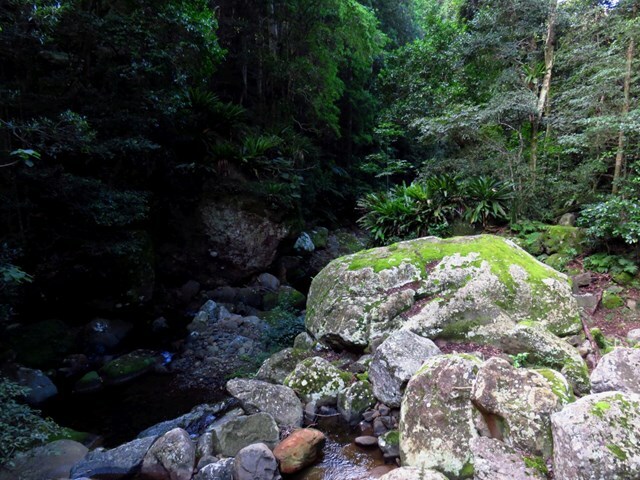 Mother Nature truly shines on The Falls walk, which starts halfway through the Rainforest loop at Minnamurra Rainforest Centre. 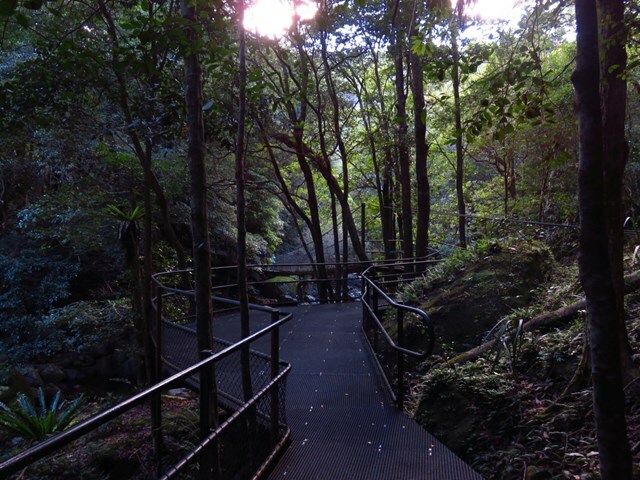 Amble along the elevated walkway and paved track, taking in the trickling streams, moss-covered rocks and feathered ferns beneath you. 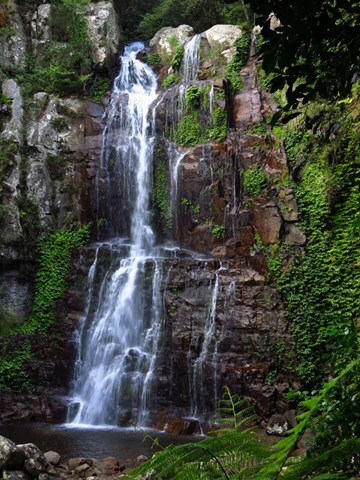 Soak up the breathtaking views over the rainforest canopy and canyon and take your time at the viewing platforms at the lower and upper Minnamurra Falls. There are steep sections along the way, but it’s easy to find a seat and catch your breath in idyllic surroundings. You’ll likely see butterflies, animals and birds in the trees and leaf litter and, if you’re lucky, maybe even a lyrebird showing off his tail. 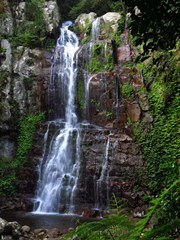 The Falls walk starts from the Minnamurra Rainforest Centre, which is located in the foothills of the Jamberoo Valley, west of Kiama on the NSW South Coast. 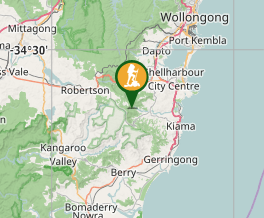 To get there from Jamberoo drive west on Jamberoo Road and turn left onto Jamberoo Mountain Road. Take the first right onto Minnamurra Falls Road, you’ll find Minnamurra Rainforest Centre located 3km along the end of the road. There is no river access – this ensures pristine water quality for the park's aquatic life and downstream residents. While the walk is shaded, it’s a good idea to put sunscreen on before you set out and to wear a hat and take plenty of drinking water. A vehicle fee of $11 is payable at the carpark entrance. Absolutely amazing falls and well maintained facilities. The rainforest area was beautiful, kept thinking I was in Tasmania. I highly recommend going a day after moderate rain. The track is fully sealed, well signed but is quite steep in some areas, well worth it though. Don't forget to stop by the cafe near the information centre before or after the walk.